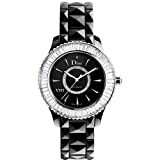 Dior watches are the perfect iconic luxury fashion accessory to take with you wherever you go. 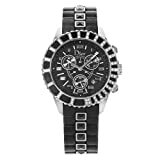 These top luxury fashion watches steel the show wherever they appear and are perfect to complete your fashion statement and unique look with all types of outfits. Take a look at our individual product featured reviews to get a more in depth appreciation of each product specification as well as our own full review and analysis. 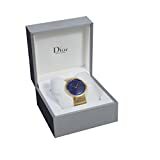 WatchiWatches best Dior Watches Reviews are verified by top rated watch enthusiast reviews. 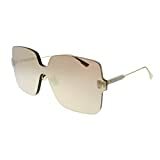 These latest and best Dior Watch Reviews closely mirror best Selling Dior Watches in the luxury watch brands categories. Our latest reviews reveal insightful and guiding links to the lowest watch prices available for door-to-door global shipment. 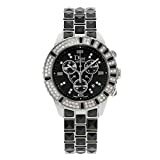 Choose from the best Dior watches available from our top watch reviews. 2 How good are Dior Watches? 3 How good is the Dior Warranty? 1947: Christian Dior founded the business Christian Dior in a mansion located in avenue Montaigne, Paris. Here proceeded to design ladies collections. In the Early 1950’s Christian Dior expanded his business with the introduction of perfumes. By 1957, Christian Dior was achieving over half of France’s haute couture exports worldwide. In 1975, Christian Dior created his first line of luxury watches. The Dior Watchmaking Workshops were founded in 2001 in Le Chaux-de-Fonds, the heart of Switzerland’s watchmaking. In 2008 the first Tourbillon caliber from Dior in the Dior Christal collection was launched. Dior’s VIII Collection was launched in 2011 with it’s first Dior Inversé caliber, placing the functional swinging rotor above the dial. How good are Dior Watches? Being a luxury fashion watch you would be paying lot of money for the name. I suppose that’s what its like with watches in general. Maybe being a Dior you might have preconceived expectations, basing it on the brand name and reputation as well as solid foundation in fashion and haute couture. It is Dior, after all. Having such a timepiece, you can guarantee a beautiful facade. For sure Dior watches are beautiful. But is that all there is? Dior Horlogerie has made leaps and bounds to be placed in a position to assert itself as a daring brand to watch out for. Many watch enthusiasts and critics often argue against the credibility of watches branded with jewelry and fashion houses, in order to try and downplay their value. Considering with Dior’s designers like Victoire de Castellane, Kris van Assche, and not to forget John Galliano, it is hard to overlook Dior as pretty watches. There will be inevitably comparisons with the likes of Chanel, Hermes, Versace and Gucci. Nevertheless it is an exciting time to see Dior step out on its own to brand Dior Horlogerie with a completly unique signature. It is alsways a risky business to shake things up to take on the market head on moving forwards. Bolstered by their own history in the luxury fashion world they are gearing up to take on new highs. The Dior website Diorhorlogerie.com states: “Dior Christal combines the excellence of Swiss Watchmaking Workshops with the refined audacity of Avenue Montaigne.” The complete Dior Christal Collection has been overlooked by the world famous fashion designer John Galliano, inspired with his crazy, outerworldly fashion designs. In the process luxury is being redefined, with such pieces of true artwork incorporating precious metals and gemstones it looks like the future may find a fusion of couture and horlogerie instead of purely ornamental watches. Dior watches are becoming amazing examples of the watch as an adornment, even more so than the watch as a piece of jewelry. Incorporating so much watchmaking engineering and superior design, Dior watches speaks volumes about the personality of the wearer. How good is the Dior Warranty? Your Dior watch is covered by an international warranty against any defect resulting from defective parts or a manufacturing defect for 24 months from the date of purchase. It is recommended that the mechanical movement be inspected and overhauled every 3-5 years. The quartz movements can be examined with every battery change. Like with any finely tuned instrument, regular maintenance is required to ensure optimal performance. Dior watches are powered by a wheel train connecting to the watch’s hands. In order to reduce friction over time, the pivots of these wheels turn on “jewels”which are small synthetic rubies filled with specialized oils. A specialized lubricant is necessary to minimize the friction on these “jewels.” If the lubrication is allowed to wear or dry out over time, the watch may start to run erratically or damage to its delicate components may occur. Save your favorite Dior watch to the shopping cart so that you can purchase when you have shortlisted the most suitable choices. In addition to a really cool Best Dior Watch why not compare it to peer group Top 10 Watch Brands? A Dior watch will certainly prove to be more than a great match to any watch brand. Check WatchiWatches Compare watch brands category on the main menu.